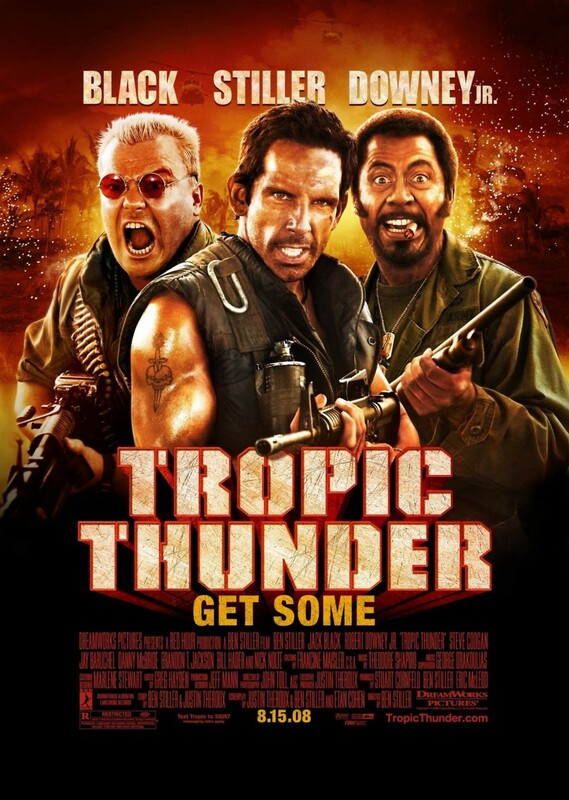 Tropic Thunder is a star studded comedy film about actors making a huge budget war film based on a book. During the middle of the movie, after the ego's of the big name actors start to flare up, the director of the movie decides to take the actors deep into the jungle to get more realistic acting. Shortly after landing in the starting point the actors become stranded, without even realizing it. Thinking they're still in a movie the crew sets out to the next location. They run into the big cartel of the area, resulting in the capture of one actor. With their friend captured the actors mount a desperate attack with fake weapons. At the end they rescue their friend and return home.